Work for IBM Compose for RabbitMQ? Learning about IBM Compose for RabbitMQ? "Cloud Services to handle Enterprise Application Data Message Exchange"
IBM Compose works great as a standalone service to monitor and provision the Message Queue Service for inter-application processes with provision to add time delay and opt for backup - incase of failures.Ability to track message flow with minimal resource requirement. Initial setup process is challenging at times due to Identity Access Management issues with Virtual Machine to check and monitor flow of messages across multiple application . Unable to handle parallel deployment of service worker nodes for simultaneous tracking. Reliability of Clod Service needs to be improved and additional features needs to be added to enable one-click deployment and simulation of message queue. 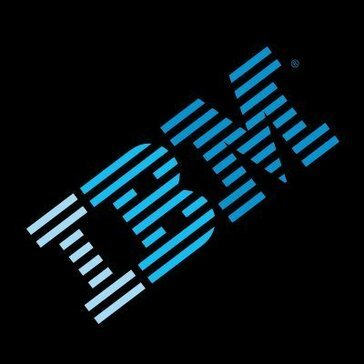 IBM Compose is used for kiosk testing of end-to-end workflow testing of healthcare application to process multi-modality scenario of instantaneous medical data messages in clinical environment. What Message Queue (MQ) solution do you use? IBM® MQ, formerly WebSphere MQ, is messaging middleware that simplifies and accelerates the integration of diverse applications and data across multiple platforms. It uses message queues to exchange information and offers a single messaging solution for cloud, on premise, mobile and IoT environments. By connecting virtually everything, from a simple pair of applications to the most complex business environments, it improves responsiveness, controls costs, reduces risk and provides real-time insight from data. It is available in a standard edition, an advanced edition, as an appliance and in a z/OS version. * We monitor all IBM Compose for RabbitMQ reviews to prevent fraudulent reviews and keep review quality high. We do not post reviews by company employees or direct competitors. Validated reviews require the user to submit a screenshot of the product containing their user ID, in order to verify a user is an actual user of the product. Hi there! Are you looking to implement a solution like IBM Compose for RabbitMQ?